As reported in the Broomfield Enterprise, the Swiss-based company Partners Group Holding AG has announced that it is building its new North American headquarters in Broomfield Colorado. According to their presentation to City Council on Tuesday, January 17th, the company intends to build three buildings on the 13-acre site, a 50,000 square foot office space, a 12,000 square foot conference and training building, and an 18,000 square foot amenities building. Prime West Development, LLC of Denver, is developing the project. Partners Group paid $7.1 million for the land in June with the new construction estimated to cost $40 million. With completion of the project anticipated in 2018, the company will initially employ 200 people but there will be capacity to add as many as 800 employees. Partners Group Holding AG has nearly $60 billion in assets and more than 900 employees globally across 19 worldwide offices. The company opened its first U.S. office in New York in 2000 and has additional offices in New York, San Francisco and Houston. To learn more about Broomfield’s exciting new economic development program, the Access Broomfield Economic Coalition, click here. Offering further details around the state’s transportation issues, Hickenlooper underscored the $9 billion deficit in unmet transportation needs without any form of gas tax increase since 1992. He reportedly asked, “…who loses healthcare or what schools have to close to add a mile of highway”? Other major topics central to his address were education funding, rural economic development, marijuana, health insurance, behavioral health and broadband. Referencing the latter, Hickenlooper reportedly acknowledged that high-speed internet should be considered critical infrastructure in the same manner as the highway system. To that effect, Hickenlooper announced the creation of a broadband office to try and increase statewide coverage from 70 to 85 percent coverage by the end of his tenure. 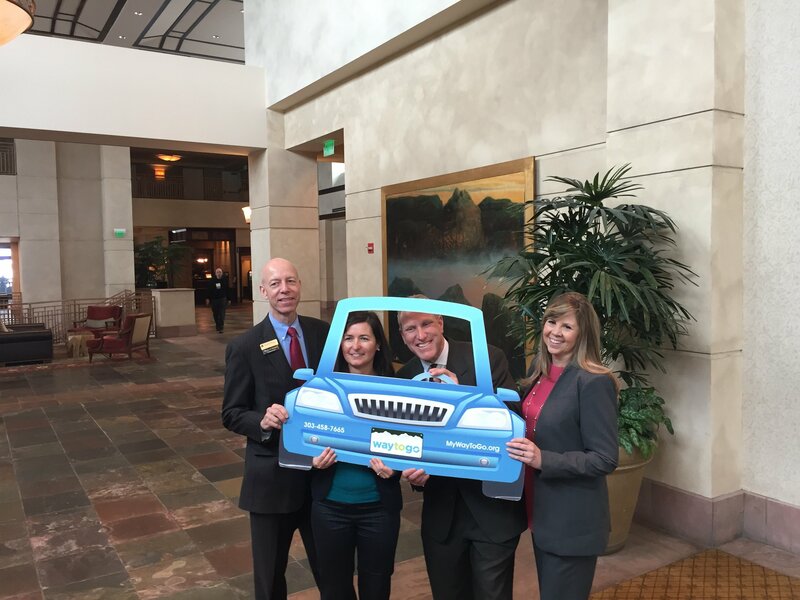 Thursday, January 5th marked the 8th Annual Legislative Breakfast held at the Omni Interlocken Hotel in Broomfield. A collaboration between Commuting Solutions and the Northwest Chamber Alliance, the breakfast was primarily focused on transportation priorities for the 2017 legislative session including, the impacts of effective transportation on our region’s economic vitality and the future of transportation in the Northwest region. Despite adverse weather conditions most of the 200 registered attendees made it through the snow including elected officials, business leaders and a variety of transportation partners. The Breakfast is considered integral to furthering regional progress and collaboration. The schedule for the morning included numerous distinguished speakers among them, Governor John Hickenlooper who highlighted the gross deficiencies in transportation and infrastructure spending in Colorado. In particular, he emphasized how we are falling short of the competition against other states such as Utah, a particularly strong competitor in economic development. To emphasize his point he offered a very telling statistic, that Utah spends four times as much on infrastructure improvement despite having approximately half the population of Colorado! The reference to infrastructure here is not limited to transportation but also includes elements such as broadband development. Among the speakers and representing the Northwest Chamber Alliance was John Tayer, President and CEO of the Boulder Chamber. Mr. Tayer spoke directly about the progress in transportation infrastructure that has been achieved thus far in the Northwest Region, in addition to some of the ongoing priorities for 2017. He emphasized the power of regional collaboration and the various entities that work together to further the region’s transportation goals from RTD to development of US 36. As a founding member of the Northwest Chamber Alliance, the Broomfield Chamber considers regional transportation investments and accompanying legislation to be critical not only to Broomfield but to the region as a whole. Indeed, with the launch of the Access Broomfield Economic Coalition (ABEC), the Chamber reinforced the need to focus on infrastructure, identifying it as central to the overall business climate. Also representing the Northwest Chamber Alliance and in attendance at the event, Broomfield Chamber President and CEO, Jennifer Kerr, has long advocated for infrastructure development, considering it a primary concern of most of the 500 member businesses of the Broomfield Chamber. This effort that began with the Northwest Chamber Alliance is also supported by the Chamber’s Access Broomfield Economic Coalition investors. While the event served to celebrate the various transportation successes in the region it also emphasized where we are falling short, primarily owing to outdated state funding that is simply insufficient to meet demand. Other funding mechanisms were referenced such as public, private partnerships however, the shortfall is considered too great without fundamental changes in legislation including the possibility of some form of tax. The Governor called on 2017 to be the year of transportation and we are supportive of infrastructure improvements that boost our burgeoning business climate here in Broomfield. The Northwest Chamber Alliance was formed in 2016 as a coalition focused on regional issues that impact economic vitality and quality of life. It is currently comprised of the Broomfield, Boulder and Longmont Chambers, representing approximately 2,400 businesses made up of 100,000 employees. These businesses range from large international corporations to small businesses, startups, nonprofits and public institutions.